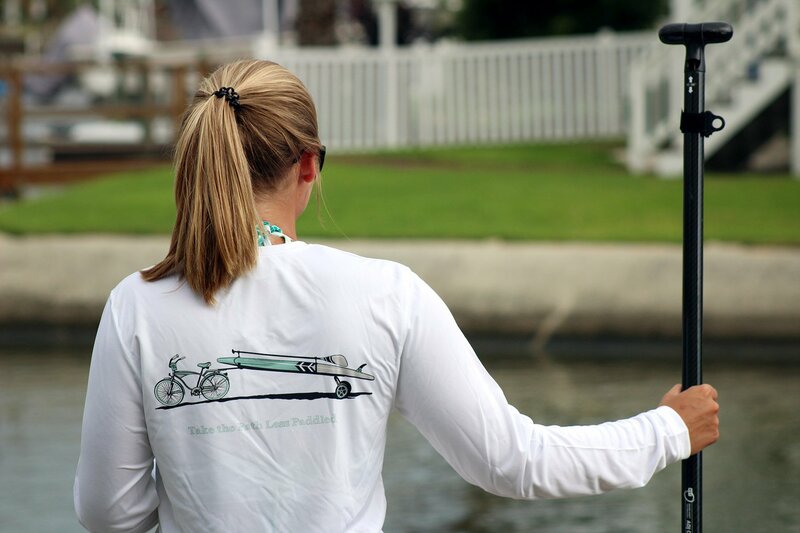 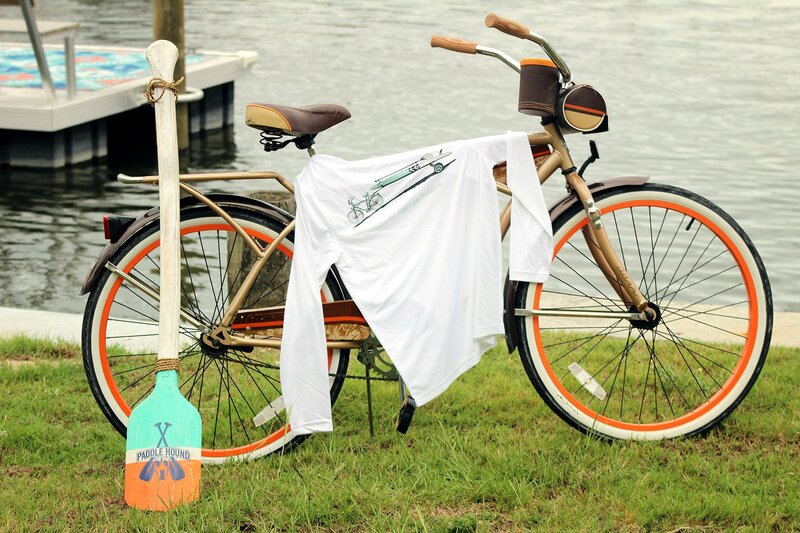 The Paddle Hound SUP Bike Cruiser Performance moisture wicking long sleeve shirt offers superior sun protection and performance qualities. Featuring up to UPF +50 solar protection, you can be sure this lightweight and comfortable shirt will keep the sun’s rays from reaching your skin. 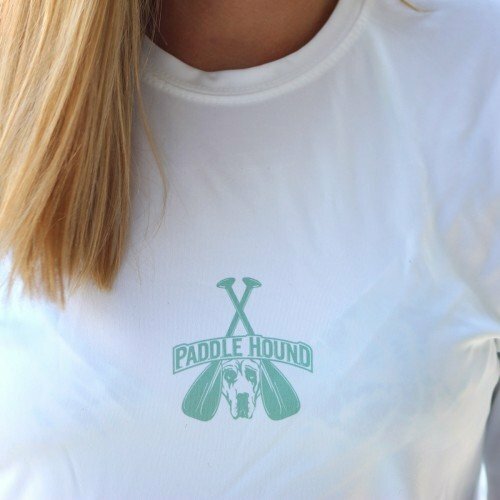 This fabric is powered by PURE-tech™ moisture wicking technology. 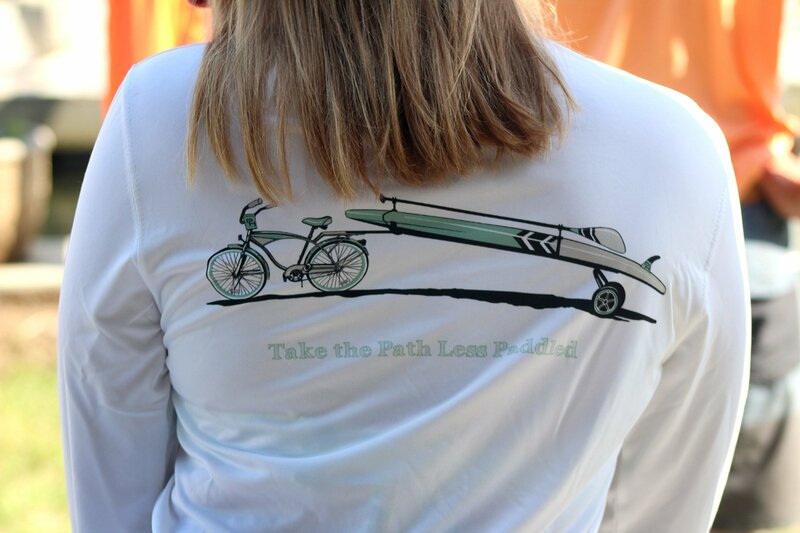 Take the Path Less Paddled and grab one of our SUP Bike Cruiser Performance moisture wicking long sleeve shirts with the signature Paddle Hound Dog logo front and center and the classic beach cruiser bike and SUP on the back.